I decided I would attempt to write an article about the “Top 10” locations to pan for gold. I quickly realized that there are so many great locations where a prospector can find gold, it would be impossible to accurately narrow the list down to just ten locations. 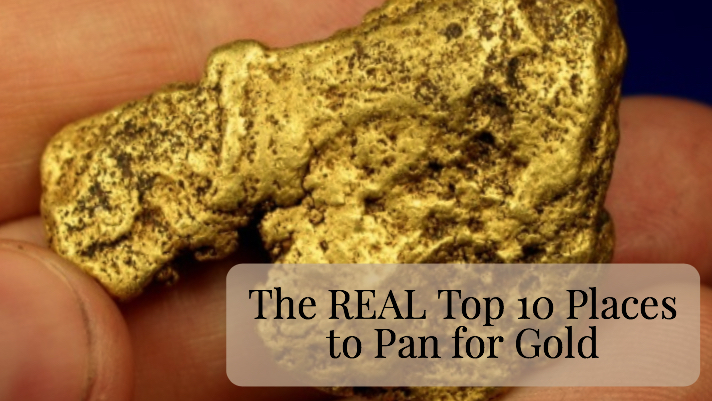 A few articles I have read recently mention some of the best places where you can pan for gold, but many of them are places where you have to pay money to go panning or take mining tours and look at various “touristy” things. That’s great, if you are just looking to have some fun and explore some history, but if you are truly looking for the richest places to go panning for gold, it’s not where to tourists go. This list is for the folks who are willing to do some exploring on their own, and actually want to venture out into the wild and find some gold. These aren’t exactly “X marks the spot” locations, but rather, they are general gold-bearing regions in the United States and Canada that I would consider to be ten of the richest gold mining areas. The American River flows right through the heart of California’s famous “Mother Lode,” and is easily one of the richest rivers in California. It was here that the original discovery of gold at Sutter’s Mill occurred, bringing scores of prospectors to California. The Auburn State Recreational Area is one of the best places to pan for gold in California, and it covers many miles of the North and Middle Forks of the American River. The city of Fairbanks exists today because of rich gold discoveries that were made here in 1902 on the Chena River. There are still many active placer mining operations on the Chena River and all throughout the area around Fairbanks. Gold can be panned from just about any of the waters that were mined historically. The northern Black Hills were the site of some of the wildest mining towns in the country during the 1870s when placer gold was discovered at Deadwood Creek. The richest streams in the area were claimed up quickly, but it didn’t take long before rich ores were discovered near present day Lead, South Dakota. The Homestake Mine was constructed, which became the deepest and largest gold mine in North America. You can bet there is still some gold here left to find. 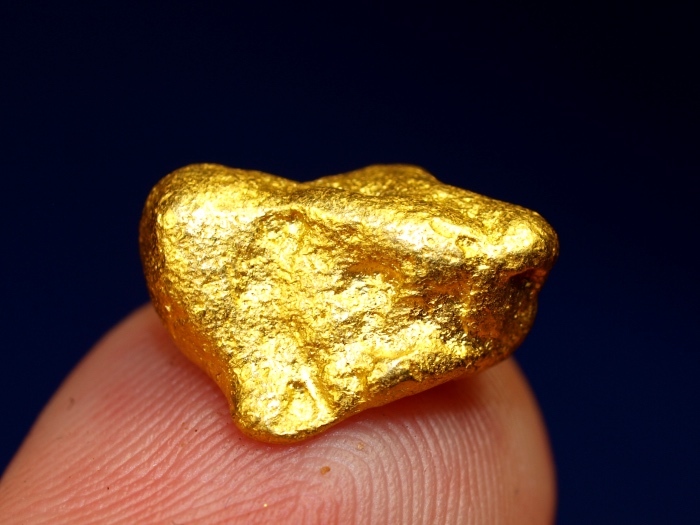 There is more gold mined in Nevada than any other state in the U.S. In the northern parts of the state, many rich placer deposits have been discovered, although here, a gold pan alone will not be enough. You will need to bring your own water to pan with, as nearly all of the gold deposits are in the remote deserts far from any streams or rivers. You might want to put away the gold pan, and use a drywasher or metal detector instead. Everyone has heard of the Klondike, a rich gold-bearing region that lured over 100,000 men in search of riches. Of those who tried to get there, only a tiny fraction ever struck it rich. Still, the Klondike area in the western Yukon Territory is still an immense region with lots of rich streams and rivers that contain gold. 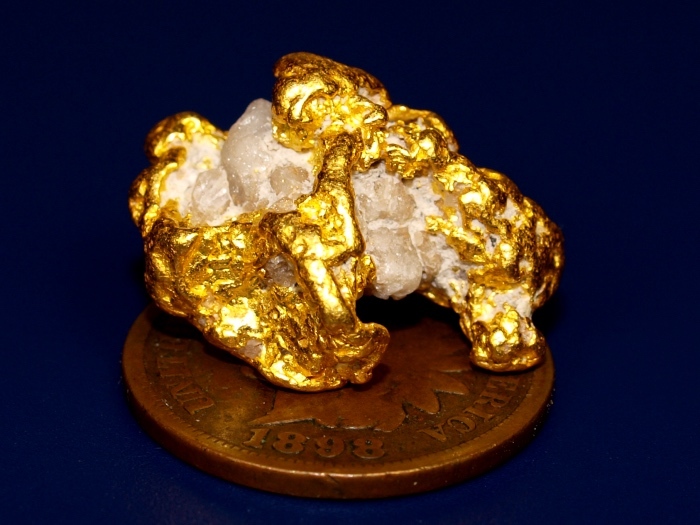 The discovery of gold at Pike’s Peak was one of America’s great gold rushes. Not far from present day Denver, gold was mined on Cherry Creek, the South Platte River, and many of its tributaries. This was the richest placer mining region in Colorado and still holds plenty of gold that can be found by prospectors today. The Rogue River drains southern portion of the Cascade Mountain Range, and is one of the richest gold-bearing rivers in Oregon. The area around Gold Hill and Grants Pass is a very popular area to prospect, and there are also several sites along the roadside set aside for gold panning. Some of the best areas for gold prospecting are within the Hellgate Recreation Area. Unfortunately, no large mining equipment can be used here, just a basic gold pan and nothing larger within the rec area. Most people think of the western United States when they think about gold mining, but Georgia is actually right in the heart of the Carolina Slate Belt, a very rich gold-bearing region in the Southeast. The town of Dahlonega was the heart of the early gold mining activity. The Chestatee, Etowah, Tesnatee, Chattahoochee, and Nacoochee Rivers will all produce placer gold, and just about any waterway in north Georgia is worth checking out with your pan. Atlin is not particularly well-known, perhaps because it is so remote. Located in northern British Columbia just a few miles from the Yukon border, it is one of the richest placer mining districts in Canada. 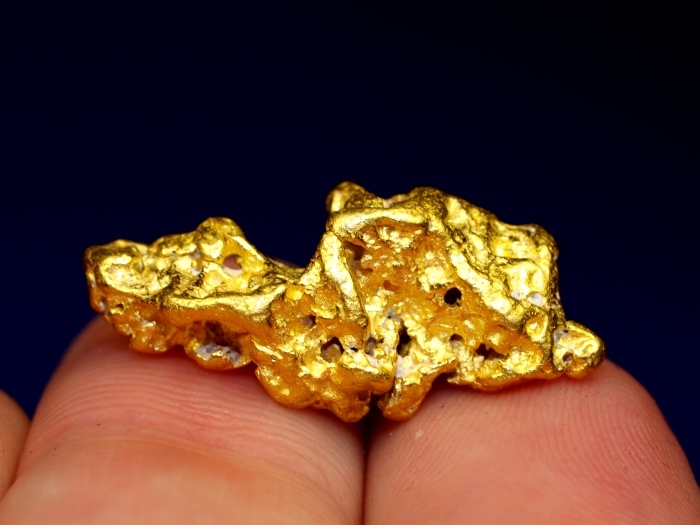 Not only has thousands of ounces of gold been found here, but some considerably large gold nuggets have also been unearth in and around Atlin. The Feather River drains some of the richest areas in northern California. A main tributary to the Sacramento River, gold can be panned all throughout the river system as well as the smaller creeks that flow into it. Some of the richest areas were at Oroville, Marysville, and Yuba City. Although this area has been mined hard for years, spring runoff continuously replenishes the gold into the river, and it is an excellent place to find gold with a gold pan. Is this list the definitive “Top 10” list? The truth is, there are literally thousands of gold-bearing locations scattered all throughout the country where rich gold deposits can still be found. A skilled gold panner can find gold just about anywhere that gold exists, and you certainly don’t need to be in one of these “famous” areas to successfully find gold. Still, these places have been responsible for literally millions of dollars in gold production, and there is still gold there today that was left behind. If you ever get the chance to visit one of these areas be sure to bring along your gold pan and see what you can find! Finally! The Ultimate Guide to Gold Panning!